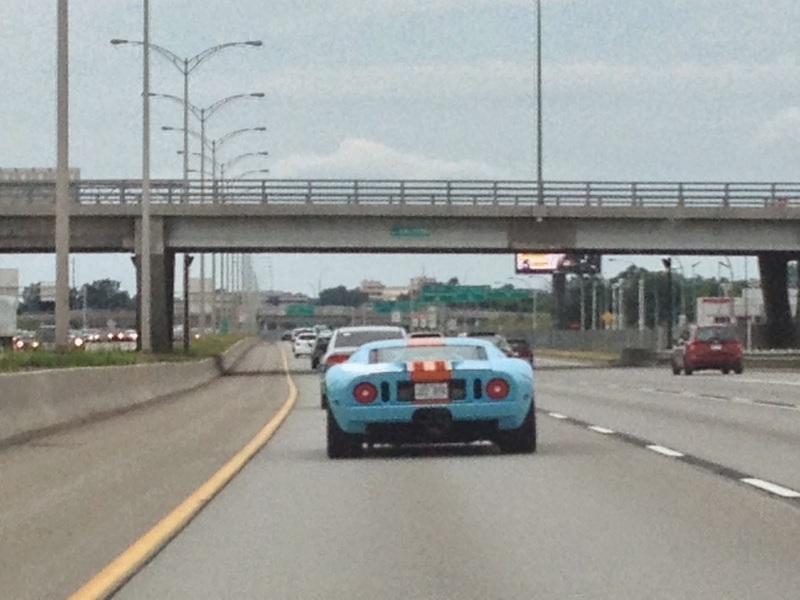 I was rolling down the highway when suddenly this Gulf Racing Ford GT40 ripped past me. 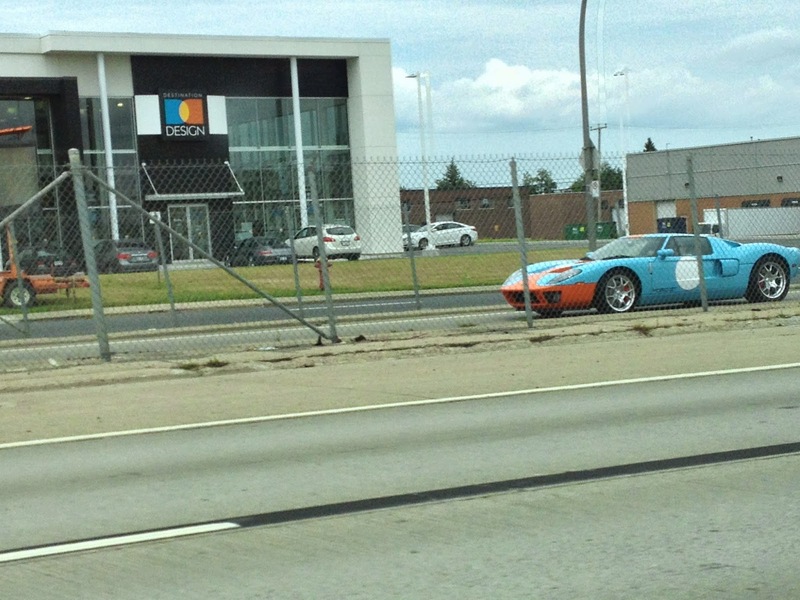 The car is definitely full of genuine Ford GT power, but I think most likely the paint is a replica of the original Gulf Racing Ford GT40. 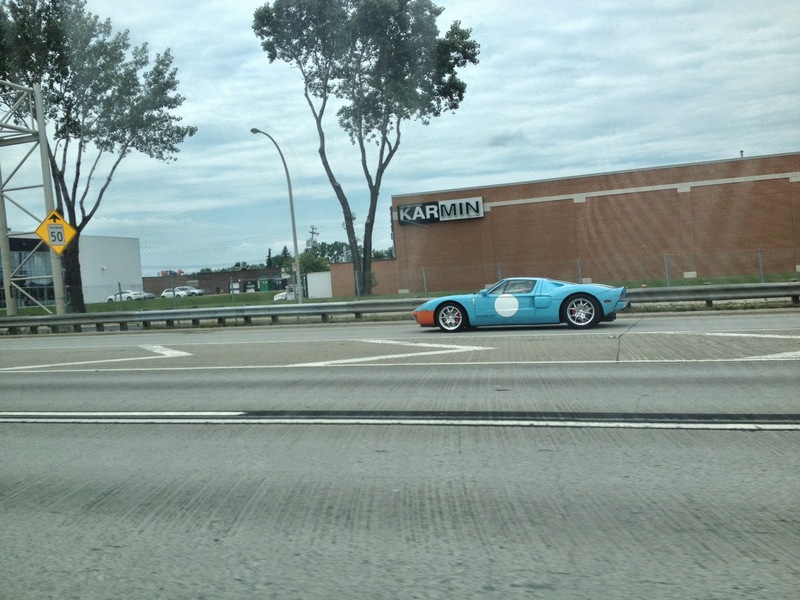 These cars are a real thing of beauty to see in person, especially going flat out on the highway! 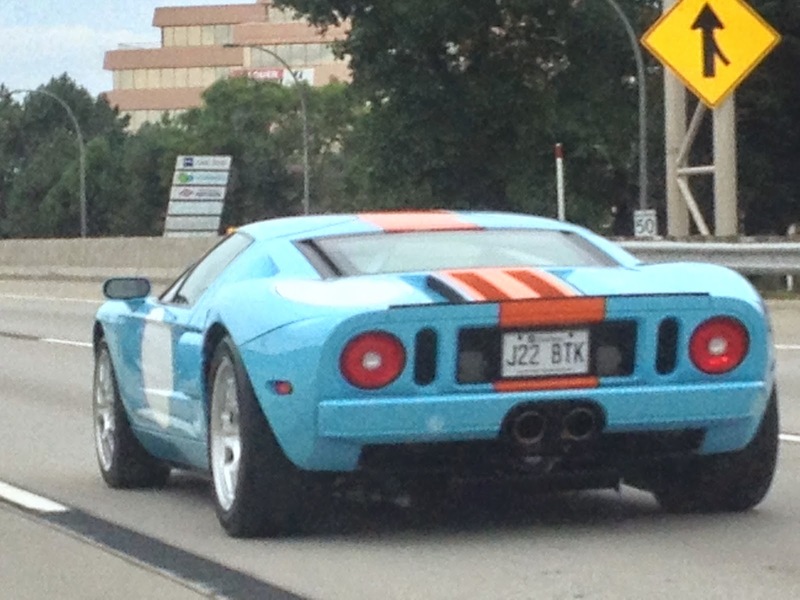 Check out this story from when we got Really up Close with a Beautiful Ford GT from The Art Collection.